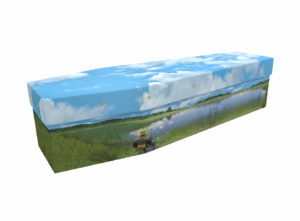 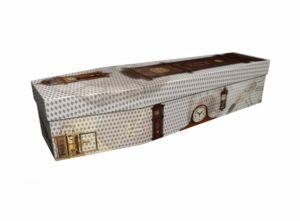 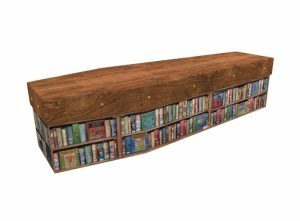 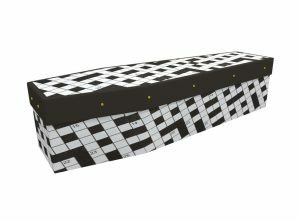 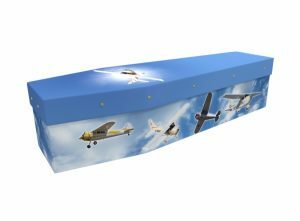 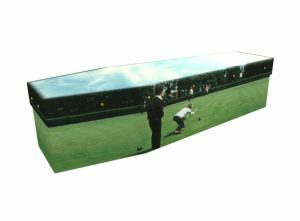 At Greenfield Coffins we can produce a beautiful cardboard coffin inspired by your loved one’s hobbies or pastimes. 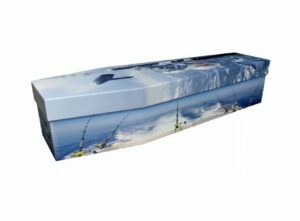 Whether your loved one had a passion for fishing, reading, playing a sport, or anything else, we can create a printed design that will be the perfect send off for them. 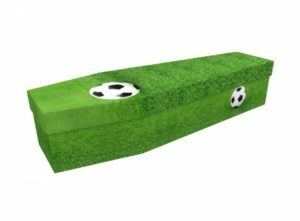 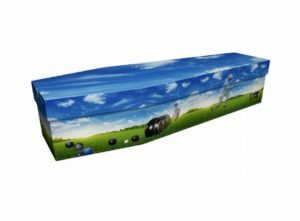 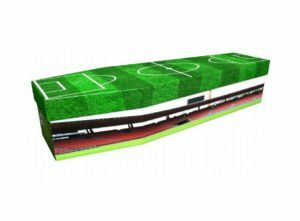 Football cardboard coffins are a particularly popular way to memorialise the deceased’s passion for their club. 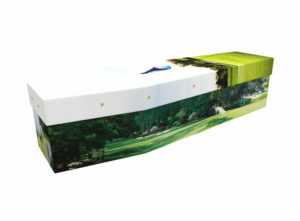 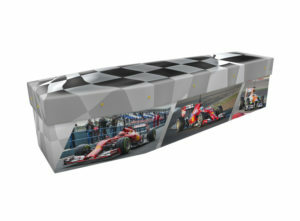 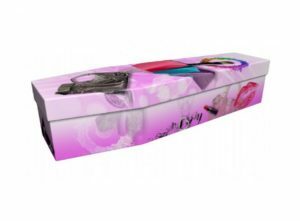 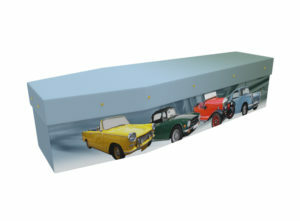 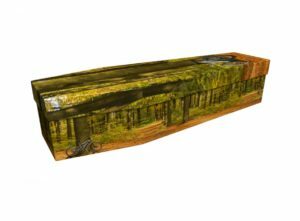 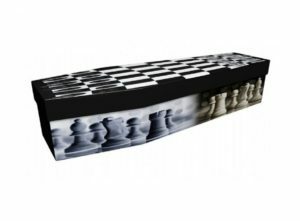 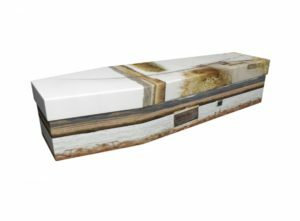 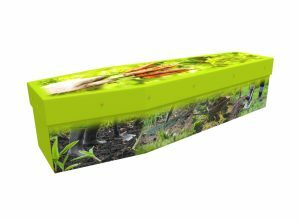 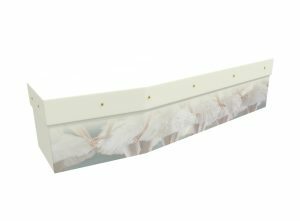 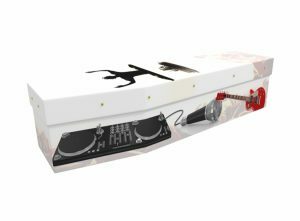 Our cardboard coffins are robust and rigid, and printed with superior quality inks for a beautiful finish. 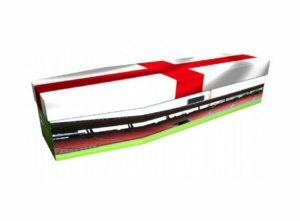 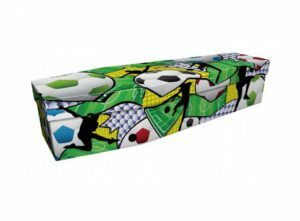 We can produce coffins inspired by Manchester United, Manchester City, Arsenal, Liverpool, Everton, Newcastle, and indeed any football team at all – either based in the UK or overseas. 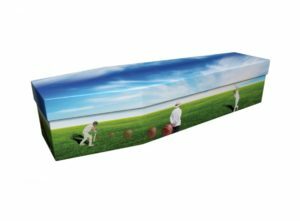 Our design team, headed by Jonny, our Art studio Manager, will aim to produce a visual proof of the desired coffin within 24 hours. 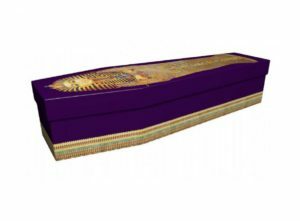 You can then request any changes, or go ahead with the design. We aim to deliver the completed coffin within 72 hours.